Baahubali actor Prabhas, who is currently busy shooting for bilingual thriller Saaho, might get married in 2018. (Yes, you read that right). His uncle Krishnam Raju, who is also a Telugu actor, in a media interaction said, "It is embarrassing a bit to answer this question in every interview. Prabhas will get married this year. He is willing to," reports Indian Express. Prabhas, an established Telugu actor, became a pan-India star after featuring in S S Rajamouli's two-part epic fantasy Baahubali. Several media reports suggested the 38-year-old star is rumoured to be dating his Baahubali co-star Anushka Shetty. However, Prabhas dismissed the rumours and told Navbharat Times, "Anushka and I had decided that we'll never let dating rumours about us do the rounds." Before the Baahubali series, Prabhas and Anushka starred together in 2009's Telugu film Billa. It was their first film together. Prabhas, who has known Anushka for about nine years now also said, "We are family friends for 9 years. We are good friends. We know each other for years." Prabhas had earlier revealed that he had received 6,000 marriage proposals, but due to work commitments, he rejected all. 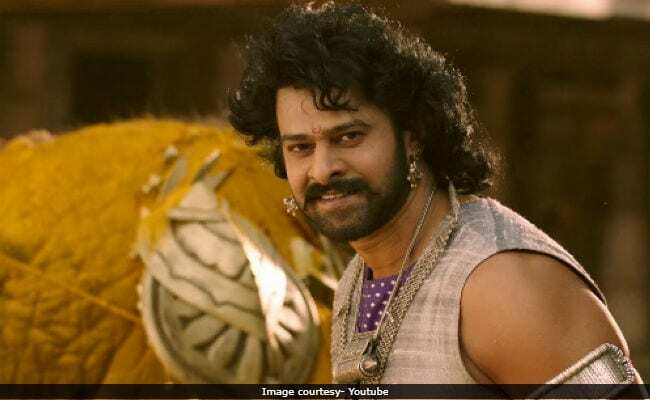 Prabhas was last seen in Baahubali: The Conclusion, which released last April. The film shattered major box office records and starred Prabhas in the lead role. The first part, Baahubali: The Beginning, had hit the screens in 2015. Prabhas will be next seen in the much-awaited Saaho, directed by Sujeeth. Shraddha Kapoor and Neil Nitin Mukesh are also part of Saaho, which is expected to release later this year.